Every logistics manager is tasked with knowing the inner workings of their operations: How do materials get from point A to point B? What companies are involved? What do these partnerships need to succeed? A big part of this equation lies in the details. Fuel costs and how many trucks are needed to move products throughout the supply chain, for instance, are only two of the necessary metrics. "Diesel is now available at 52 percent of U.S. fueling stations." Rising fuel costs may be a cause of concern for logistics managers. The Department of Energy's Energy Information Association reported that during the week of March 8, diesel prices were going to increase for the third week in a row. As of the beginning of March, prices went up a total of 4.1 cents over the course of three weeks. These price hikes may be a problem in the future for organizations that continue to use diesel fuel. 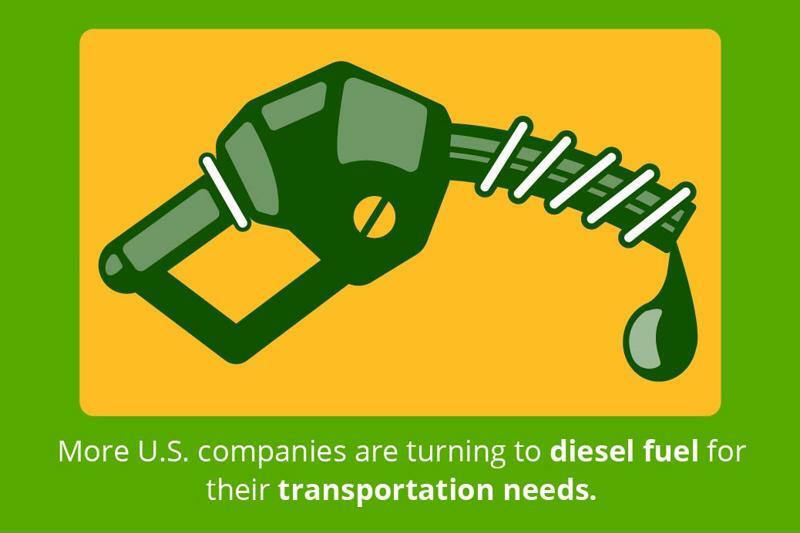 SupplyChain247 contributor David Conover noted in August 2015 that more U.S. companies are turning to diesel for their transportation needs because it's more efficient and gets better mileage than gasoline. In fact, it's now available at around 52 percent of U.S. fueling stations. However, the issue of price still remains. Since 2004, diesel has been more expensive than gasoline. The recent 4.1-cent increase in price, though it doesn't seem like much, is a continuation of this trend, which could impact the supply chain in different – and significant – ways. According to Supply Chain Quarterly, rising fuel costs have three key effects on supply chain strategies. When prices go up, three possible shifts can take place: Supply chains place more focus on nearshoring instead of offshoring; product design becomes more geared toward "shipability" instead of marketability; and there is more of a focus on lean transport policies instead of lean inventory. What this all boils down to is that the supply chain, in the wake of fluctuating fuel costs, places its focus on keeping expenses low. In extreme circumstances, this may have a negative effect on actual product design and marketability. Supply chain managers need to make sure they are taking fluctuating fuel prices into account. If one part of the supply chain goes down, or, in this case, becomes untenable due to rising gas prices, managers need to make sure they have another route to market. Ensuring the flexibility of the supply chain infrastructure is critical. Inbound Logistics contributor Lorcan Sheehan noted that being able to employ multiple routes to market serves as an effective risk mitigation strategy. Supply chain and logistics management require adequate oversight and visibility. To that end, organizations can gain important insights from technologies geared toward providing them with an inner look at their operations. With Oracle Transportation Management solutions like the Transportation Operational Planning module, supply chain and logistics managers can get a better handle on how rising fuel costs will impact their operations, from materials to manufacturing to distribution. With this tool, organizations can improve customer service while at the same time decreasing transportation costs. Contact Inspirage today for more information about how these solutions can help your company. This entry was posted in Logistics Management and tagged Oracle Transportation Management (OTM), OTM Cloud. Bookmark the permalink. Mark has over 30 years of engineering, manufacturing and leadership experience with 20 years in senior management positions in manufacturing and service companies. At Inspirage, Mark supports supply chain projects with a focus on improving processes, change management, training and strategic planning to provide optimize solutions and deliver greater financial improvement. Cloud, Asset Monitoring and IoT oh my!